Yale | Where's my backpack? Y ale University campus is an awful lot of fun, in an old and crumbly kind of way, despite the fact that, at least by European standards, it really isn’t old and crumbly at all. Founded in 1701 in Saybrook, Connecticut; the university moved to its present location in New Haven, Connecticut in 1716. 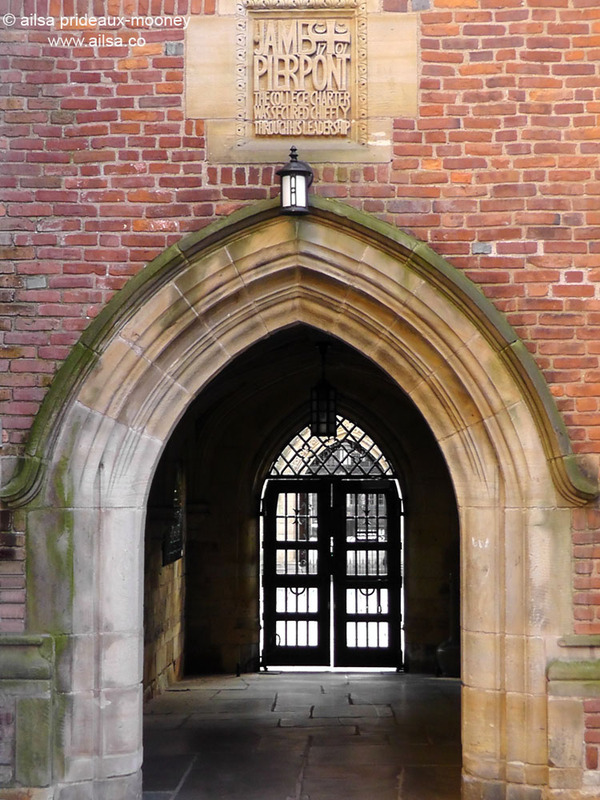 When you consider that the first of Oxford University’s colleges were established between 1249 and 1262 in England, and their rival Cambridge University founded the first of their colleges in 1284, Yale campus is really not that old. It could, in fact, be rightfully viewed as the new kid on the block; a mere youngster compared to its European counterparts. 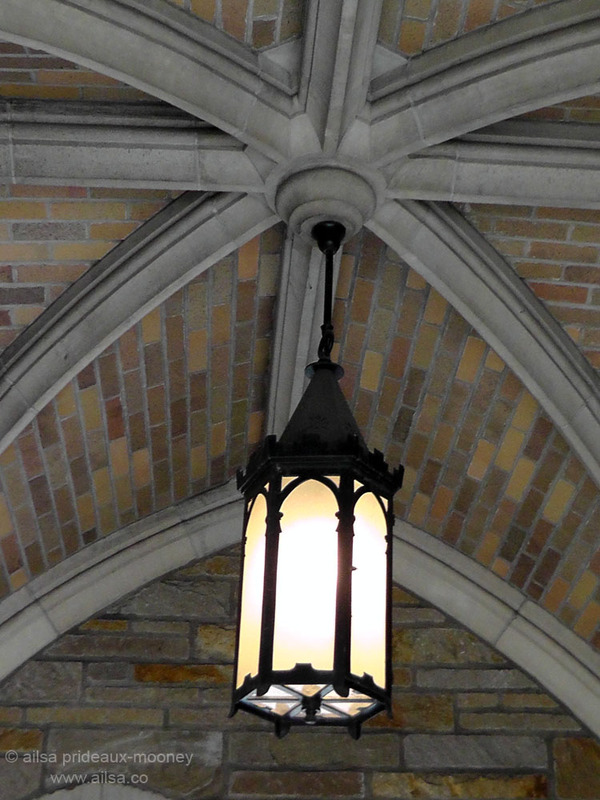 You would not, however, guess that this campus is a relatively recent creation, thanks to a diverse range of architectural styles and an architect by the name of James Gamble Rogers. 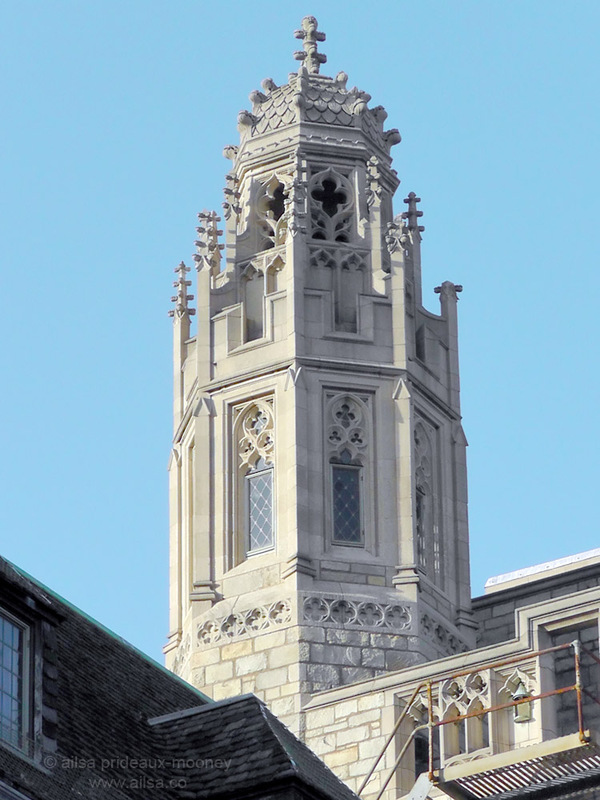 Rogers designed many of Yale’s buildings in the 1930s, modelling them after the colleges he’d seen in Cambridge. 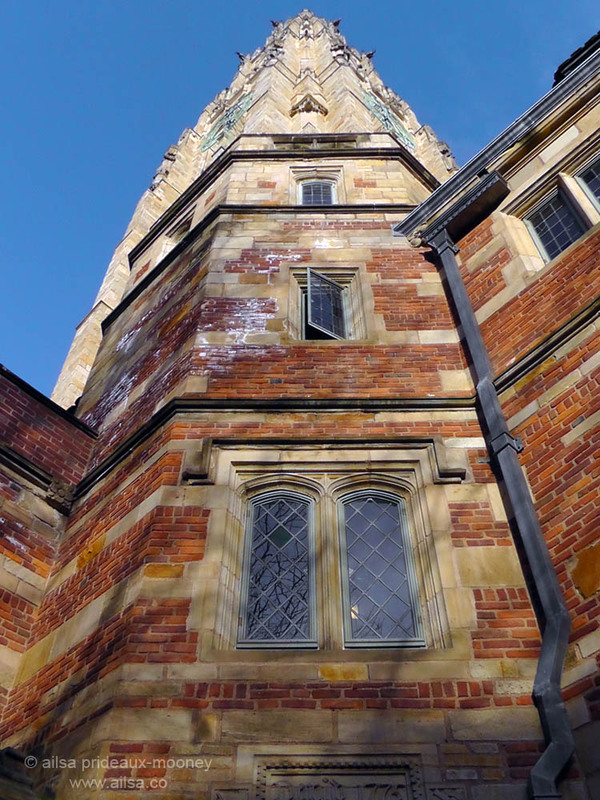 Yale’s campus was built to look old, incorporating all manner of delightful features such as slate roofs, weathered bricks and cobblestones. 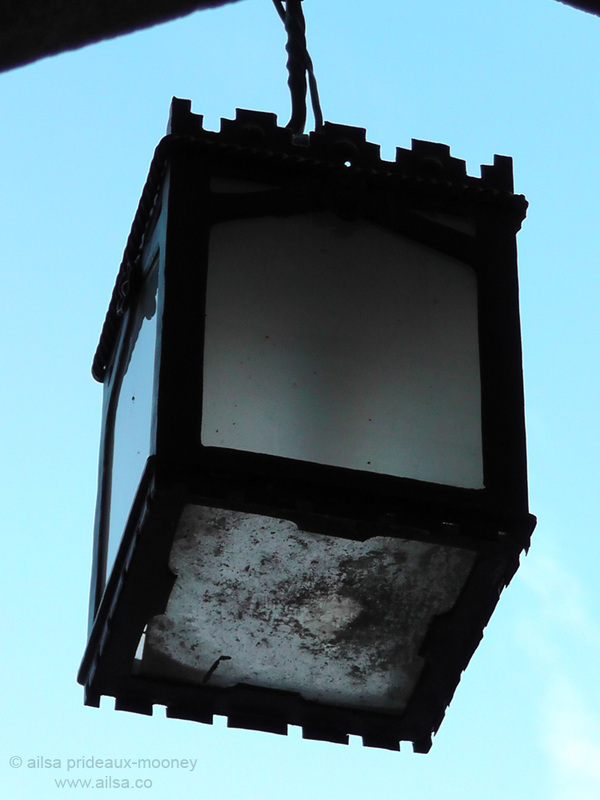 Nooks and crannies abound, with wonderful Jacobean chimneys adorning the rooftops. A tour around the campus will give photographers photo opportunities galore. I was in heaven. New Haven is easy to get to from New York City; the Metro-North from Grand Central runs directly there. The journey takes just under two hours and an off-peak return ticket (at time of writing) will put you back $29.50. Here’s my tip for you – go on an official guided tour of the campus. 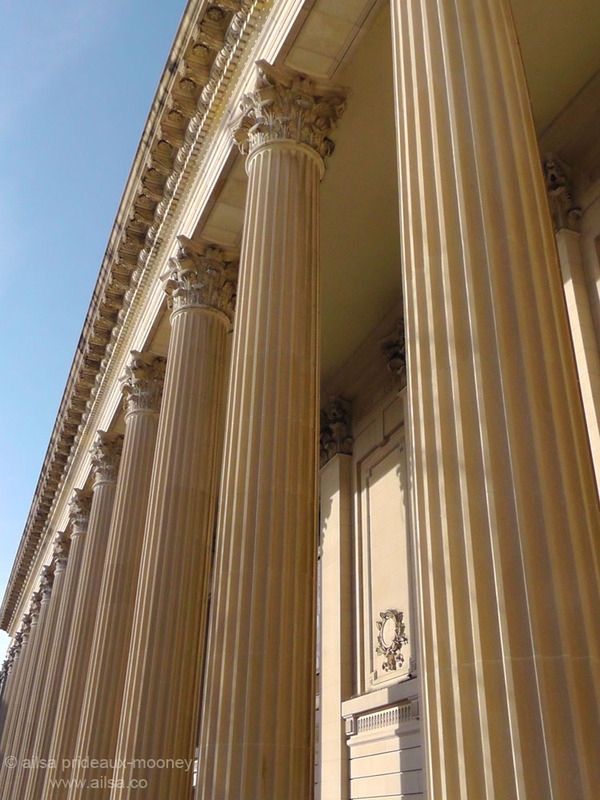 The University puts on daily walking tours – see their Visitor Centre website – and I highly recommend this tour for two reasons. 1. You will get access to the interior courtyards which would be otherwise inaccessible and 2. It’s free. College students act as tour guides and show you around the grounds, regaling you with tales of Yale’s history and student misdemeanours. 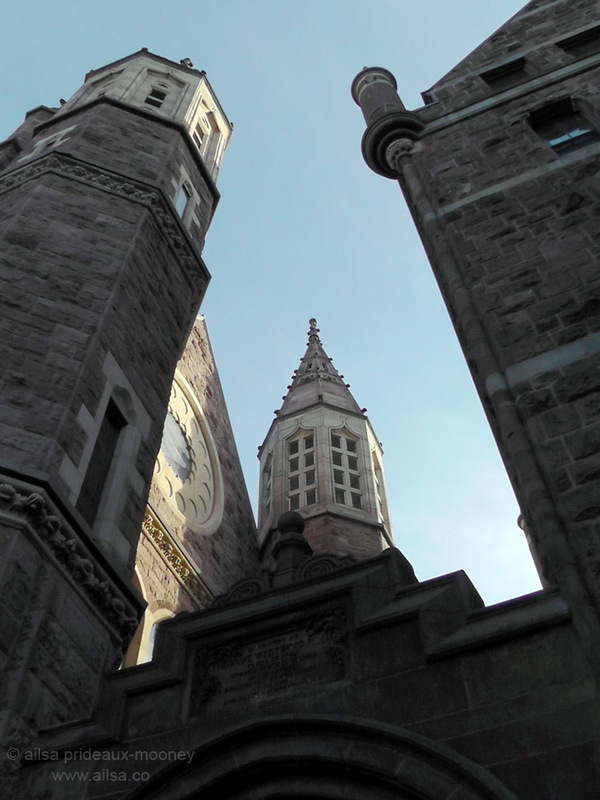 The towers, turrets and spires – Yale is full of them, everywhere you look there is another fabulous creation reaching skyward. Hogwarts eat your heart out. The archways. Not just archways, but archways leading to more archways concealing even more archways. 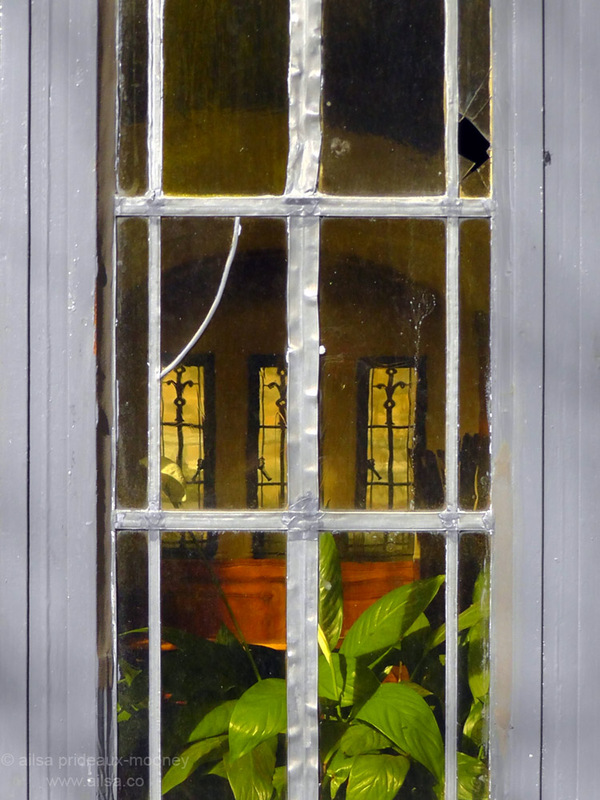 Windows, everywhere, catching light, shattering it and throwing back the most delicious reflections. 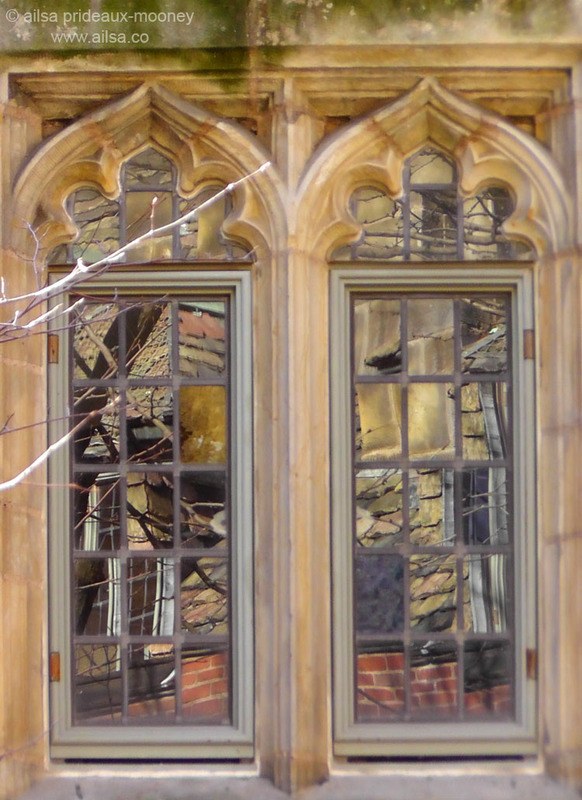 In keeping with James Gamble Rogers’ vision of creating an ancient feel, the glass in these windows has been deliberately cracked. 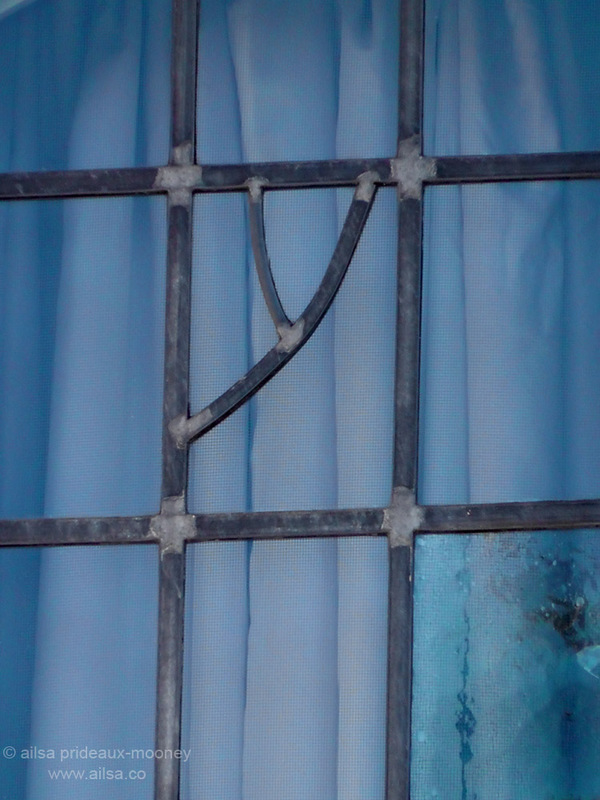 In a unique touch of whimsy, the glass many times has been cracked in the shape of a ‘Y’ to represent Yale – and then ‘repaired’ with lead. And last but not least, there were the lanterns, of all kinds and shapes imaginable, decorating and illuminating the walls of this exquisite campus. 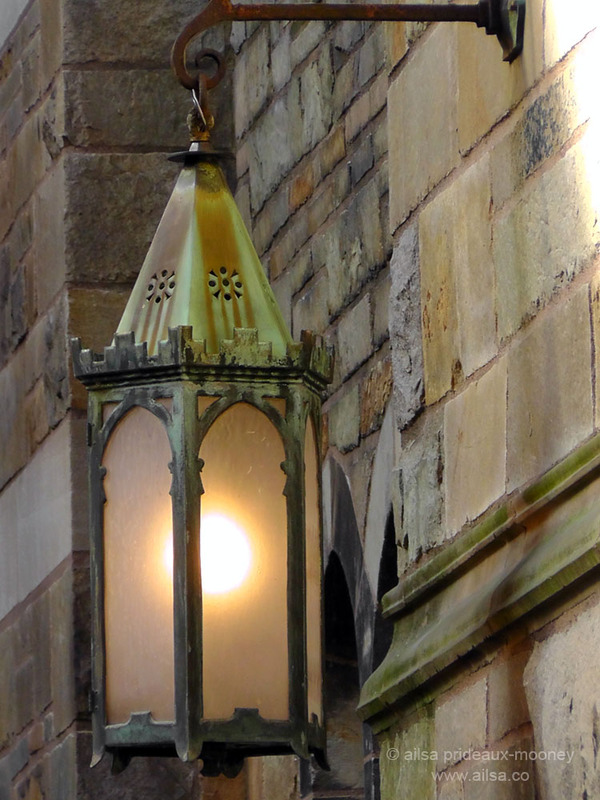 One final photo from my outing to Yale. 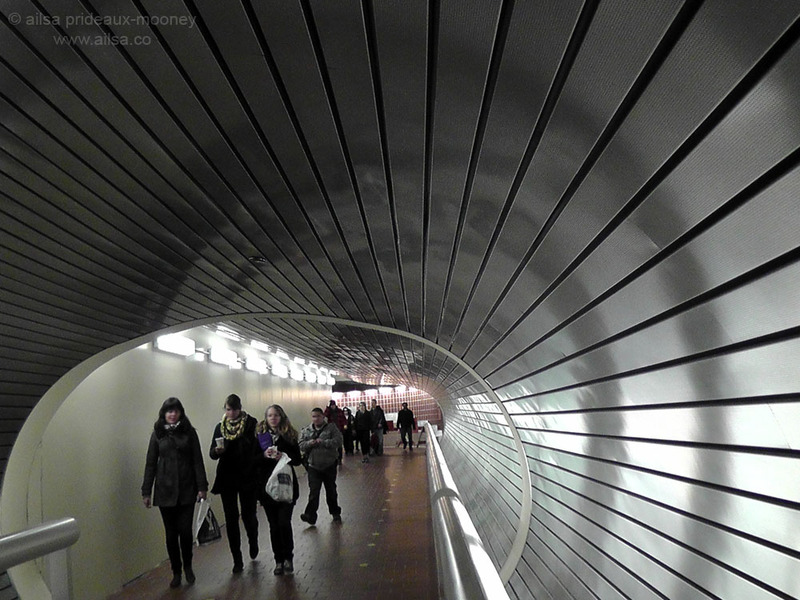 In complete contrast to the newly ancient campus, the train station at New Haven has a delightfully modern tunnel leading to the platforms. I felt like I was on the Starship Enterprise. The only thing missing was a door that goes “shooosh”. 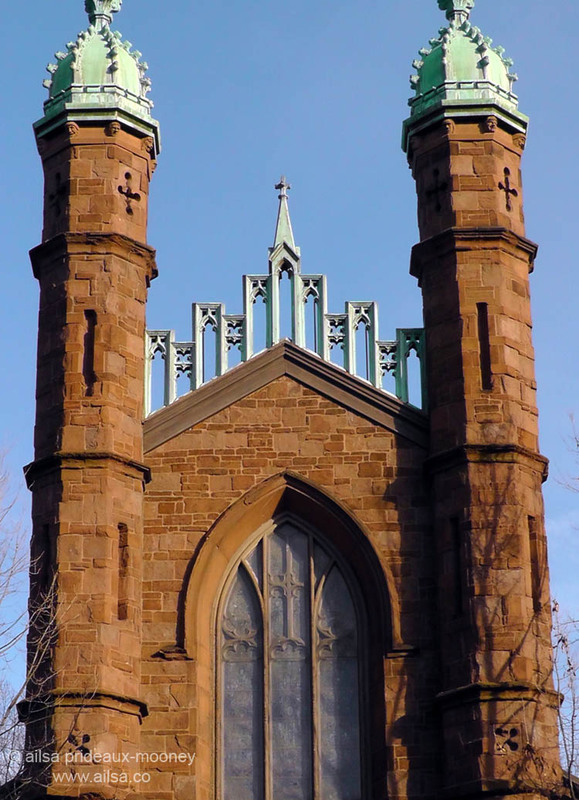 This entry was posted in Connecticut, Photography, Travel, United States and tagged architecture, history, photography, photos, pictures, postaday, travel, writing. Bookmark the permalink. LOVE the photos and the feel…these are great! Thanks! One day, I know I will.. The windows especially are great. Now you have to do Harvard, of course! Maybe you already have? 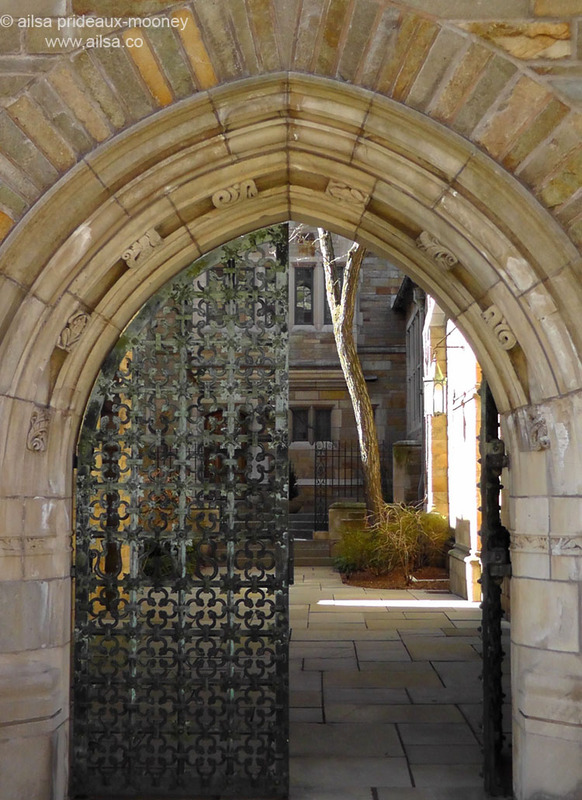 Gosh, I would give anything to attend a school like Yale. Such prestige–and the campus is magnificent! I haven’t been to Yale and now I’m reminded of the great stuff I’m missing . Perhaps one day, I get to see this amazing place. Fascinating and spectacular architectural details. Beautiful! These are all great photos Ailsa, especially the last one. You have a gift using a camera. Good morning! I thought I was the only other person up at such a foolish hour! Except for the person I’m teaching how to photograph waterfalls today that is. And with that, I’m off to the White Mountains!! Have fun. don’t fall in! Looks like a beautiful place – and great photos! Thanks Lilian, it really was quite lovely, I had a great time! Thanks campanulladellaanna, it’s a really lovely place to visit. This is a great post Ailsa!!! Lots of really great and much showing pictures. Can you guess which one is my favourite? It is …..the fourth one. Spectacular take! 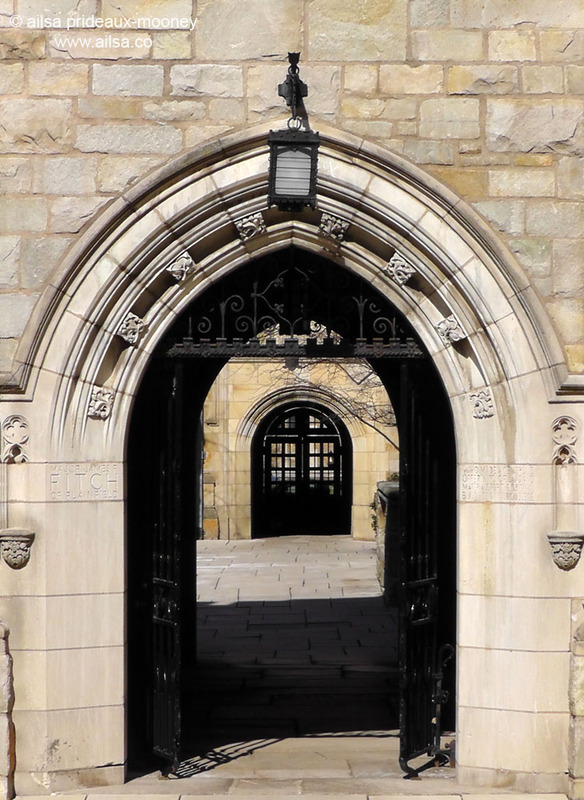 Are you a Yale student? Thanks Paula, I do like the fourth one too, with the jumble of spires and windows and turrets. I’m not a Yale student; I went to university in Europe. 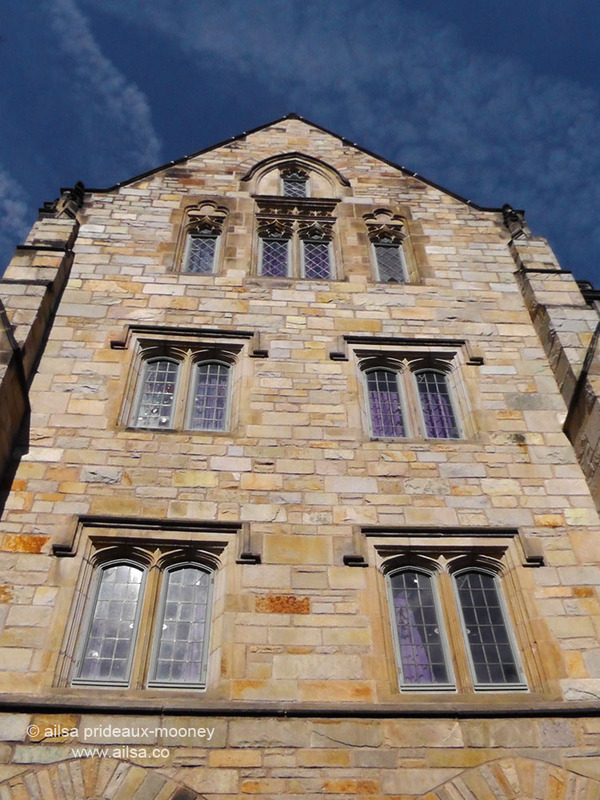 When I was visiting New Haven I decided to check out Yale campus because I heard it was interesting – and it certainly was! My sister’s in New Haven, and we’ve often been downtown at the art museums and in general, just “around.” And I never saw these things! Didn’t raise up my eyes enough, or have a knowledgeable guide like you! Am looking forward to visiting my sister again and seeing through new eyes — yours! I agree with Touch… the details are nice! Sometimes we miss these things and today buildings don’t see to have those cool little extras. The details make all the difference, don’t they? So much more interesting than looming skyscrapers devoid of personality. From far away the skyline looks cool, but up close it certainly is all in the details. They are great architecture. I’m very interested in such old architecture because i have been studying architecture since 20 years ago. Great photos. Our son’s college tour of the Yale campus just happened to be when they were filming the last Indiana Jones movie.